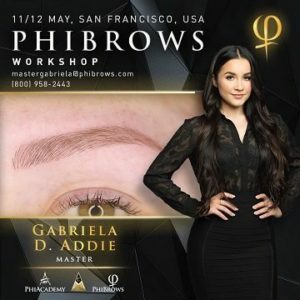 To receive the actual Phibrows certificate, and to be put on the World Map and on the official website www.Phibrows.com it will be required that you demonstrate your work and achieve the Phibrows standard by completing all 11 levels in the Craftmaster Online / Mobile Application which breaks down the human brow into more simplified steps for faster learning and understanding. 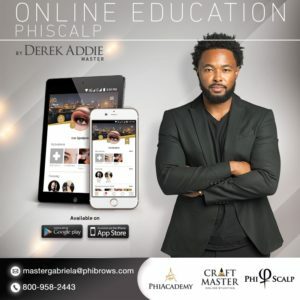 While it’s called an online course, the Online Phibrows Microblading Certification Course is really more like a home study program which is self paced. However, if you do purchase the Online Phibrows Microblading Course from us, we welcome you at any time afterwards to only pay the difference to come and attend one of our live training events (in which case our live event will not provide you a second Phibrows Premium kit). After completing the registration process, you can download and register to the following Applications on one of your devices (smart phone, tablet, ipad…) and we will activate it for you giving you access to the goodies. You will receive your Phibrows kit by mail. You will begin going through the various levels in the application. 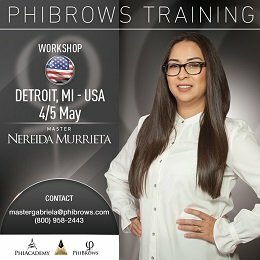 With our supervision over the next 6 months, you develop your skills, master each level, and ultimately achieve the Phibrows standard. So don’t give up on your dream of pursuing microblading if the Live Phibrows Course is out of reach right now. The Online Certification Course is a great alternative.